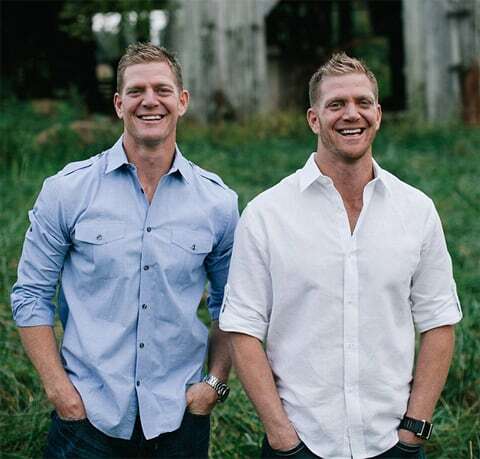 Anti-gay wingnuts David and Jason Benham, the brothers who had a planned property development TV show cancelled because of their far right-wing views, have compared themselves to victims of terrorist group ISIS, reports Right Wing Watch. 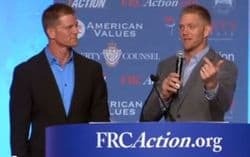 Speaking at the rabidly homophobic Family Research Council’s annual Values Voter Summit last Friday night, the twin brothers argued that just as ISIS has beheaded victims, progressive groups like Right Wing Watch “silence” conservatives by quoting them verbatim. The twins of course also drag out the tired old “gay agenda” argument and explain how god helped them to realise the reality behind the reasons for their firing. In May, HGTV decided “not to move forward" with a new house-flipping show called Flip It Forward starring the Benhams. The network's move came after Right Wing Watch wrote a lengthy post exposing the Benham family's extreme anti-gay activism. Last month, David Benham said that the battle to deny gay people their rights is really just a battle against a "parallel kingdom run by Satan." that seeks to "rob, kill, and destroy."